Fulfilling our mission to protect and restore the Morro Bay estuary for people and animals requires a lot of hard work in the field. At the Estuary Program, that often means spending time doing research and monitoring work out on the water. Read on to see the progress that our staff and volunteers have made in our eelgrass work during February of 2018. 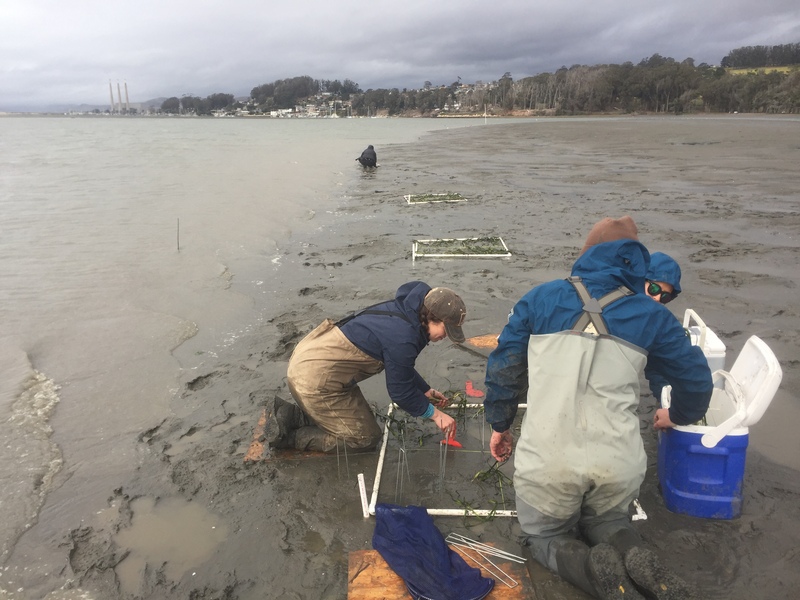 Our field highlight for February was preparing for and executing our third, small-scale eelgrass restoration. We completed two in 2017—one in March and one in July. Eelgrass was harvested from the healthy bed at Coleman Beach and transplanted into two locations in the forebay and midbay. Check out our July blog post for an overview of how we do this. Based on the success of those efforts, we decided to continue planting at our original location in the Forebay, near channel marker 18, and to try four new locations, extending throughout the mid and back bay. This photograph shows four of our plots from the March eelgrass planting effort. 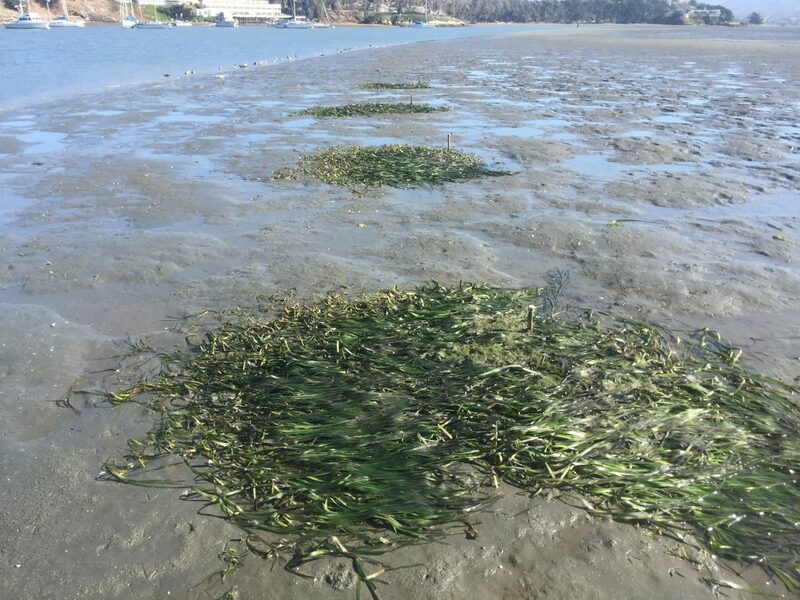 This video shows how we harvest eelgrass blades before we transplant them. This video shows how we plant the eelgrass in carefully selected plots. Weather depending, we will be repeating this effort again at the end of March at three new locations in the bay. Check back in next month for more information about this planting effort. In the meantime, here are some photos from the week. 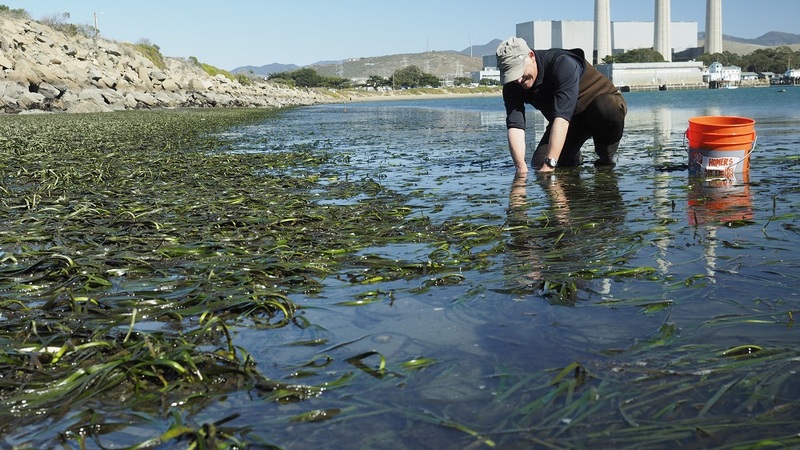 One of our longtime volunteers works on harvesting eelgrass blades near Target Rock. Thanks, Marc! Photograph courtesy of Vince Cicero. Please ignore the blurry photograph edges—we got rained on one day! 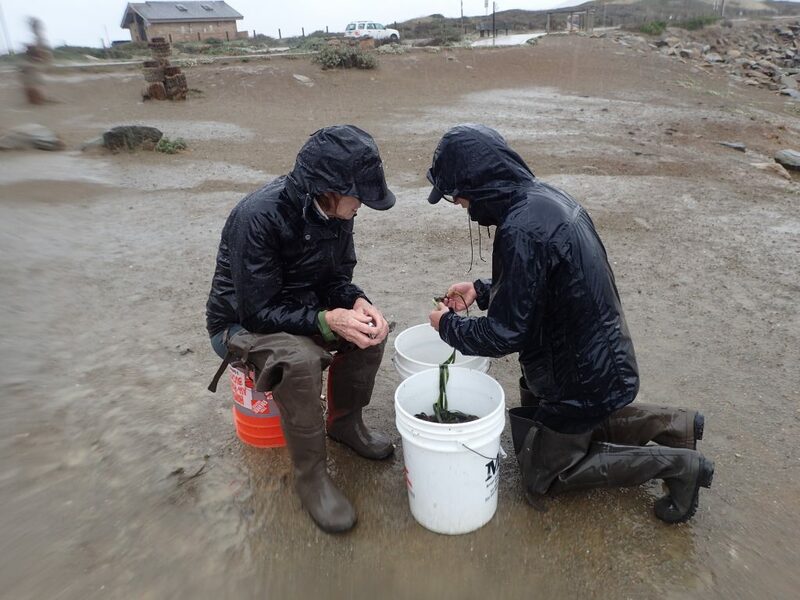 Here, two of our intrepid volunteers work on separating out eelgrass to be planted in a new plot in the bay. Thank you, Charlotte and Tom! The transplanting crew works to plant the eelgrass before the tide comes back up and the rain starts again! We were happy to have six AmeriCorps Watershed Stewards Project members to help out with this effort. Thank you, members! This effort was only possible with the help of the volunteers, who stayed with us through strong winds, rain and cold water. These volunteers included some of our existing water quality and bacteria volunteers, CalPoly faculty and students, AmeriCorps Watershed Stewards Project members as well as some new faces. 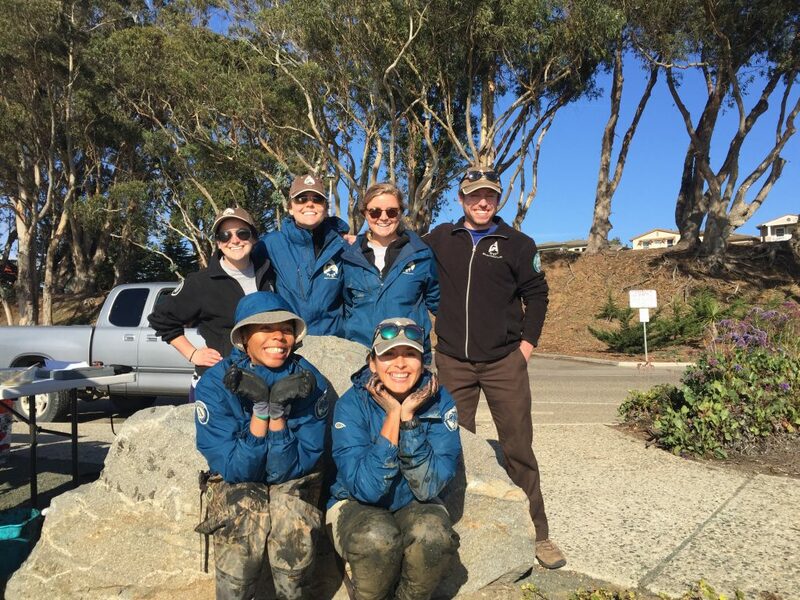 Also thanks to Morro Bay Oyster Company for giving us boat rides out to our transplanting sites! Subscribe to our weekly blog to have stories like these delivered to your inbox each week. Starting next week, we’ll post a series about what the Estuary Program and our partners accomplished in 2017.